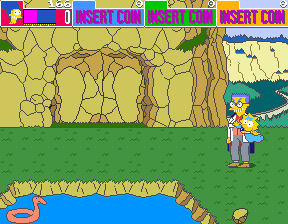 Play The Simpsons (4 Players World, set 1) online with Arcade browser emulation for free! 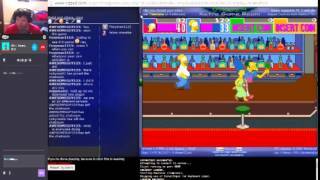 The Simpsons (4 Players World, set 1) (MAME) game rom is loaded with features in our flash, java and rgr plugin emulators. Nothing to configure, we've done it for you! 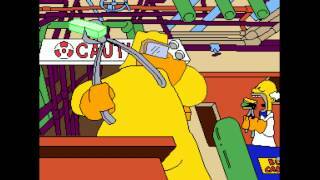 bombs you want it smithers? how could is suit still standing?? 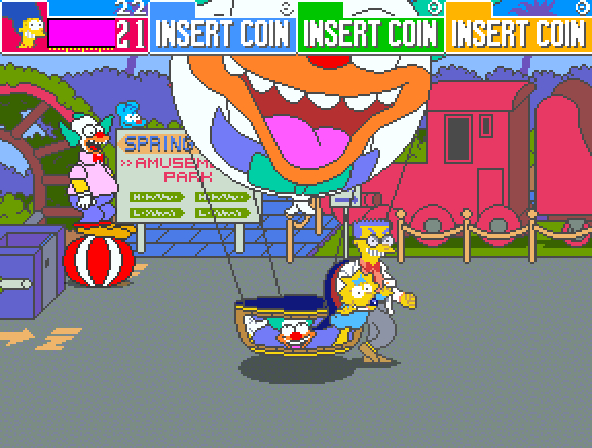 krusty brand hot air balloon! 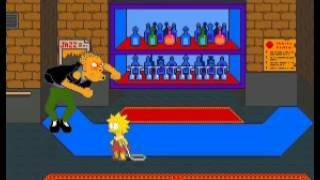 Beat 'em up... "What's that?" may you wonder. Well, if you're asking that, it's because you never played an Arcade game before. If you don't know, let me explain you. Beat 'em up (also known as Brawler) is one of the best video games genres. What it is about? Simple: Street fights. Nothing but punching, kicking and hitting with several weapons hordes of enemies through (usually) city themed places. All that only to fight the typical big enemy, which may count with some minions to help him to fight you... (And just after beating him, all the minions on the screen would die... Strange, I know). Okay, now know what a Beat 'em up is thanks to this brief explanation, Back in time (yeah, once again abusing of this phrase) this genre used to rule the Arcades... And, as I said, on a previous review, Konami used to get many attention with their 4 players brawlers. 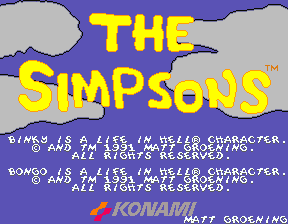 Now... What do we get if Konami makes a beat 'em up about The Simpsons? 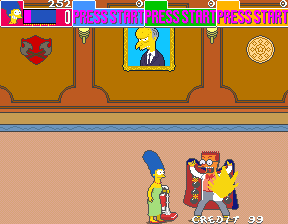 We get this: The Simpsons Arcade Game, one of the few Simpson games that are worth playing. Now, If you wanna know how much is worth playing this... Keep reading. This is, definitely, one of the best games based on "The Simpsons" franchise out there. Simple but very entertaining... If you can play it with a/some friends... Even better! This game was my childhood!! I never beat it before back in 1999, now I did after 17 years!! Is there anyway to save this game? WHOOO now that neplay works on vizz this will be an awesome game to play on it. Loved this game as a child. 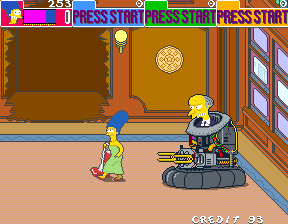 Always played it in my local arcade. I always loved this game. They had it in the Seattle Bus station. How do you start playing this game? I press the buttons mentioned and nothing is happening. 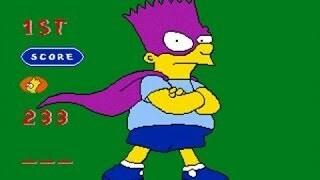 I remember playing this game in the arcades!!! One of mine favorite family. 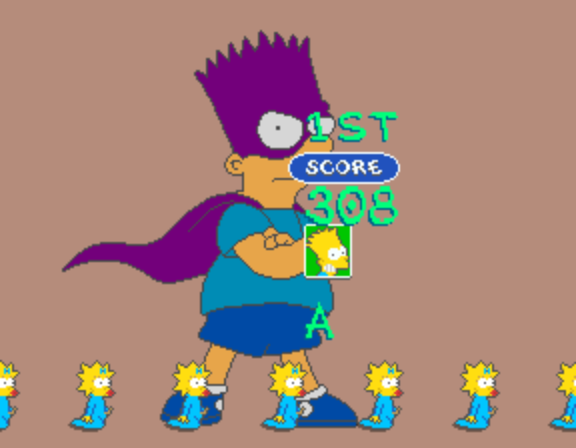 What I do is set the controls the same for all four Simpsons then I can play with all four of them. Just posting here so I can access from profile later. I never thought to see this game again, snif. I beat this game for the first time ever today! 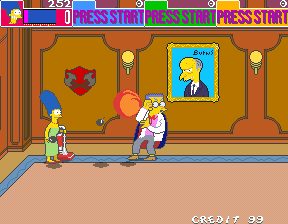 (I was playing as Homer!) It was awesome!! 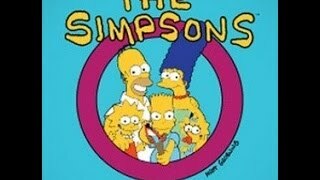 The ending was excellent for its time (1991)!! Maybe next time when I go to the arcade, I'll try to beat it there (and make sure I have enough coins to do it)!!! 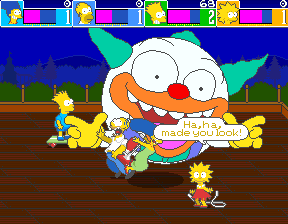 Also, if you get multiple characters to congregate in one area, they will team up to perform different attacks, such as Homer/Marge putting the kids on their shoulders, or the whole family rolling like a ball to knock over enemies! 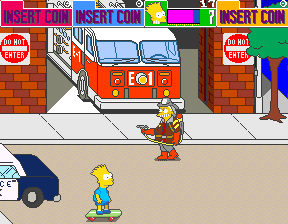 One thing you may enjoy is something I did with customizing the controls. If you set the inputs for all players to be the same, you can use and control all four characters at once, allowing you to stand a much better chance. why does the game not work?